Bursera Graveolens or Palo Santo in Spanish (Holy Wood in English), produces an essential oil which promotes a pure and clean aura. It is usually used as massage oil after a day's work out or outdoor activity when you want to have a quick refreshing feeling. Learn more about Bursera Graveolens Essential Oil or find a great deal on the best selling Bursera Graveolens Oil from the items below! 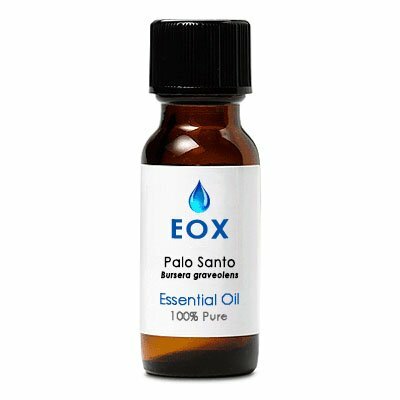 Palo Santo Essential Oil 4 oz. This rare 100% pure oil (Bursera Graveolens) is distilled in small quantities from ecologically and sustainably harvested wood gathered in the Machalilla Park on Ecuador's Pacific coast. Palo Santo Essential Oil has a fine citrus aroma with underlying notes reminiscent of frankincense, its close relative. The wood and oil have distinct therapeutic benefits that are utilized in traditional ethnobotanical medicine of the Andes. This rare 100% pure Palo Santo Essential oil, Bursera graveolens, is distilled in small quantities from sustainably harvested wood from Peru. It has a fine citrus aroma with underlying notes reminiscent of frankincense, its close relative. The wood and oil have distinct therapeutic benefits that are utilized in traditional ethnobotanical medicine of the Andes.Our latest distillation from Peru has strong citrus aroma with more subtle woody scent. Aromatherapy Properties: (Uses) In Aromatherapy, Palo Santo Wild Crafted is considered to be antiseptic, anti-inflammatory and anti-bacterial. It can be used as part of a remedy for bronchial coughs, colds, nasal flues, allergies and asthma. It is said to have excellent absorption properties and can be used in massage therapy to relieve pain and inflammation of the muscles and joints, and regenerates skin conditions, promote skin nutrition, healing and flexibility. Palo Santo Wild Crafted essential oil can generate states of calmness and relaxation and is beneficial for meditation, concentration, and for enhancing creativity and learning. In spiritual aromatherapy, it can be used as perfume to release negative energy and to purify and cleanse the spirit. Analysis show that Palo Santo Wild Crafted oil contains high levels of limonene a monoterpene compound that has been found to reduce the growth rate of cancer. Blends well with: Cedarwood Virginia, Sandalwood East Indian, and other wood oils History: The Natives in Ecuador have used it mainly to protect themselves from insects (mosquito) and also in ancestral rituals where shamans use this oil to clear bad energy from the bodies. They also used it as essential oil and to perfume their homes. Anti-inflammatory for muscles and joints. As a decongestant to reduce nasal mucus production and swelling. Nervous system tonic, sedative. Qualities: Quiets mind from mundane thoughts, Has a purifying effect on mind. Uses include Aromatherapy Burner, Quick inhalation, Pillow, Compress, Humidifier, Baths, Footbaths, Massage with Therapeutic Carrier Oil. This rare 100% pure Palo Santo Essential oil, Bursera graveolens, is distilled in small quantities from ecologically and sustainably harvested wood gathered in Machalilla Park on Ecuador's Pacific coast. This Palo Santo Essential Oil has a fine citrus aroma with underlying notes reminiscent of frankincense, its close relative. The wood and oil have distinct therapeutic benefits that are utilized in traditional ethnobotanical medicine of the Andes. Palo Santo (Holy Wood) Essential Oil 10 ml. 100% Pure, Undiluted, Therapeutic Grade. Botanical Name: Bursera Graveolens: Plant Part: Wood Origin: Ecuador Processing Method: Steam Distilled Description / Color / Consistency: A thin, clear, pale yellow to light brown liquid. 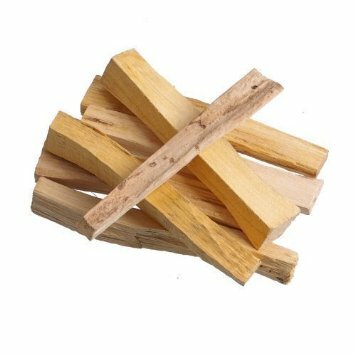 Aromatic Summary / Note / Strength of Aroma: A top note with a medium aroma, Palo Santo Essential Oil has a fresh, intense woody aroma with a slight hint of citrus. Blends With: Cedarwood, Sandalwood and other wood oils. Product Abstract: Palo Santo is a tree found originally in the tropical forests on the coast of the South Pacific, but Ecuador is now the main country where this tree is harvested. Palo Santo Oil is concentrated, and found only in the interior of the tree's trunk. It can take up to 10 years to produce the oil. The average life of the tree of Palo Santo is between 80 and 90 years, but because of over-harvesting, only tree branches that have fallen naturally to the ground are used for the distillation of this oil. The natives in Ecuador have used it to perfume their homes. It was also used in rituals by shamans. 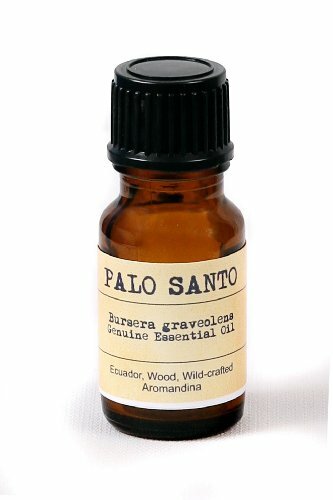 Palo Santo Essential Oil Profile Botanical: Bursera graveolens | Origin: Ecuador |. Palo Santo (Holy Wood) Essential Oil 5 ml. 100% Pure, Undiluted, Therapeutic Grade.